Transport for London has today set out that two London Overground stations should be built at Old Oak Common, after the public consultation on proposals to build a new Overground link in the area received strong public support. Three station options were considered as part of the consultation. The public consultation results show the most support for Option C, which would create two separate London Overground stations at Old Oak Common Lane and Hythe Road – allowing access to both the Clapham Junction to Stratford and Richmond to Stratford lines. This option was also preferred as two distinct catchment areas would be served, maximising rail links across the OPDC site and helping make journeys quicker and easier across west London. 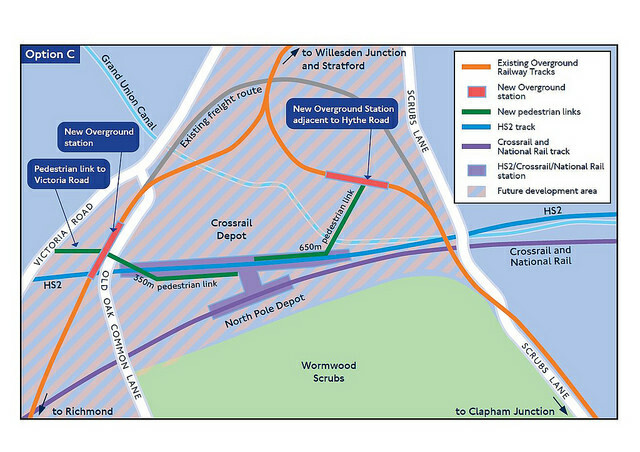 The nine week public consultation, which ran between 22 September and 24 November, indicated 85 per cent of the respondents supported plans to build a new London Overground station at Old Oak. It has been recommended that Option C, which proposes two Overground stations, should be further progressed as the single preferred option. TfL will now undertake more detailed work to progress Option C, taking on board comments received from the consultation. The next stage of work will include the consideration of funding options as part of the wider development plans for Old Oak Common. 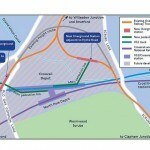 Further public consultation on the scheme is expected to take place in 2016. This entry was posted in Hammersmith and Fulham, Park Royal. Bookmark the permalink.